My parents asked us to join them for a short vacation. They thought of visiting our cousins in Mayantoc, Tarlac and to also celebrate Easter with them. It’s a 3-hour travel by bus from Quezon City. My brother and I decided to accompany them. I also invited Ricky (my S.O) to join us on our trip. So we were five when we went to our destination. Since, it was a Black Saturday that moment, we were challenged by getting bus going to Tarlac. Almost everyone was going to their province for a vacation. After 30 minutes we finally got the right bus route. We were fortunate enough to have our seats. We arrived in Mayantoc by approximately 1pm of the same day. 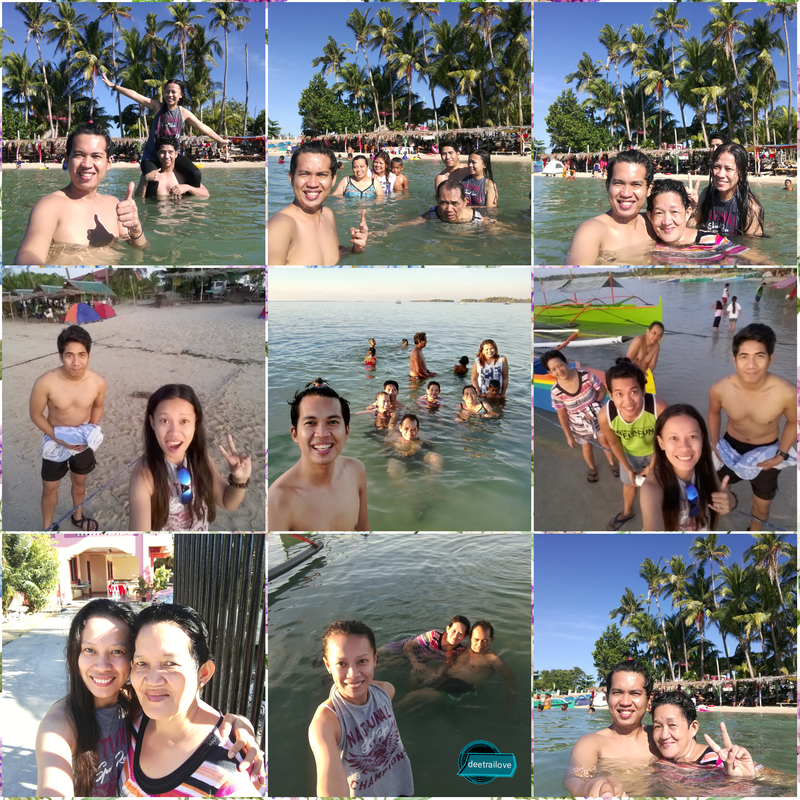 We were welcomed by our cousins, Ate Lala, Ate Khang and Kuya Joel. We got a chance to see Kuya Eric as well. We were all excited to see them after a long time of not meeting them. We were talking a lot of stuffs, asking them how everyone’s doing. Sometimes, I am thinking of how my cousins were now successful on their burger business in Tarlac. I am praying also that I could find and establish my own business soon. We told Kuya Joel that we were interested to visit Monasteryo de Tarlac to celebrate Easter. 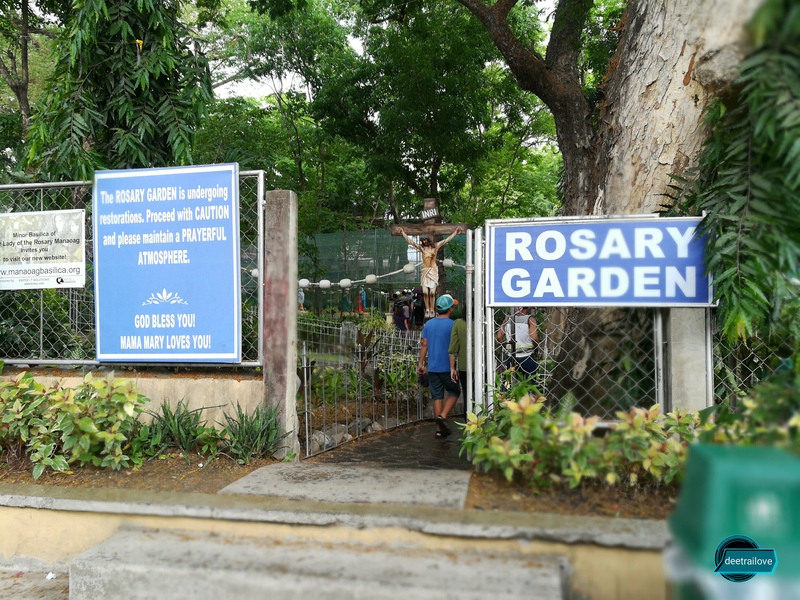 So we were on our way then to Monasteryo de Tarlac until Kuya Joel decided to go to Dasol Beach in Pangasinan and thought of visiting Our Lady of Manaoag Church afterwards instead of visiting Monasterio de Tarlac. We had no choice but to agree, anyways, we could only visit them once in a blue moon why not accept the challenge. The challenge was, we didn’t bring our clothes with us. We left it at their house because we never expected of us going to the beach. We went to the market in Aguilar and purchased swimming attire or at least shorts because we got nothing but the clothes we were wearing that time. 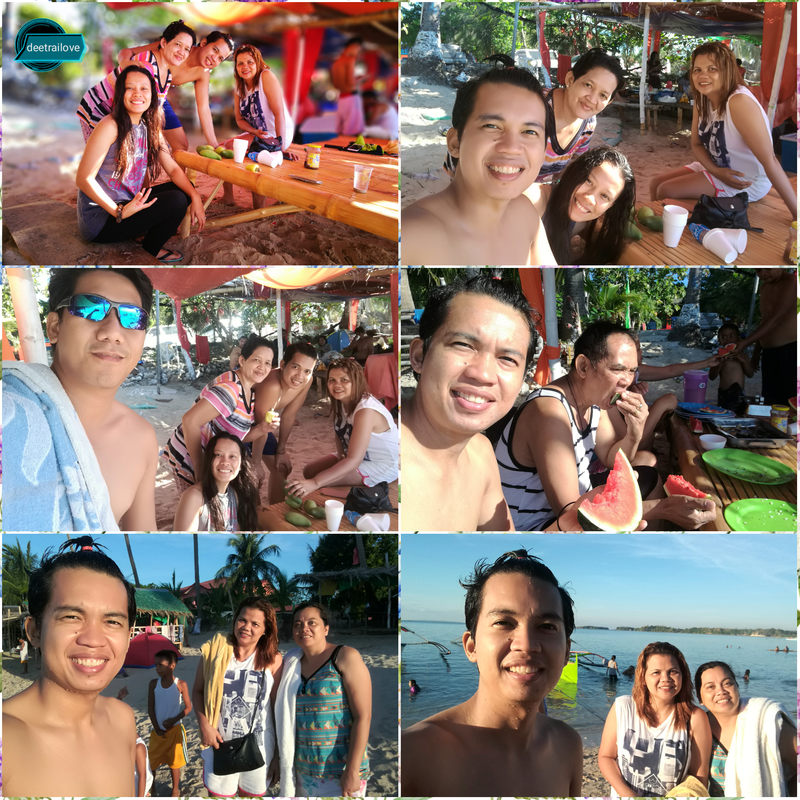 It took us 4 hours when we arrived at Tambobong Beach Resort in Dasol Pangasinan. We were all excited and at the same time we were all exhausted and starving. It was night already when we reached our destination. We prepared our dinner and took a rest. We woke up 5am to witness the stunning sunrise of Dasol. Of course, we took our best photos. As we watched the sunrise we were eating our breakfast at the seaside. 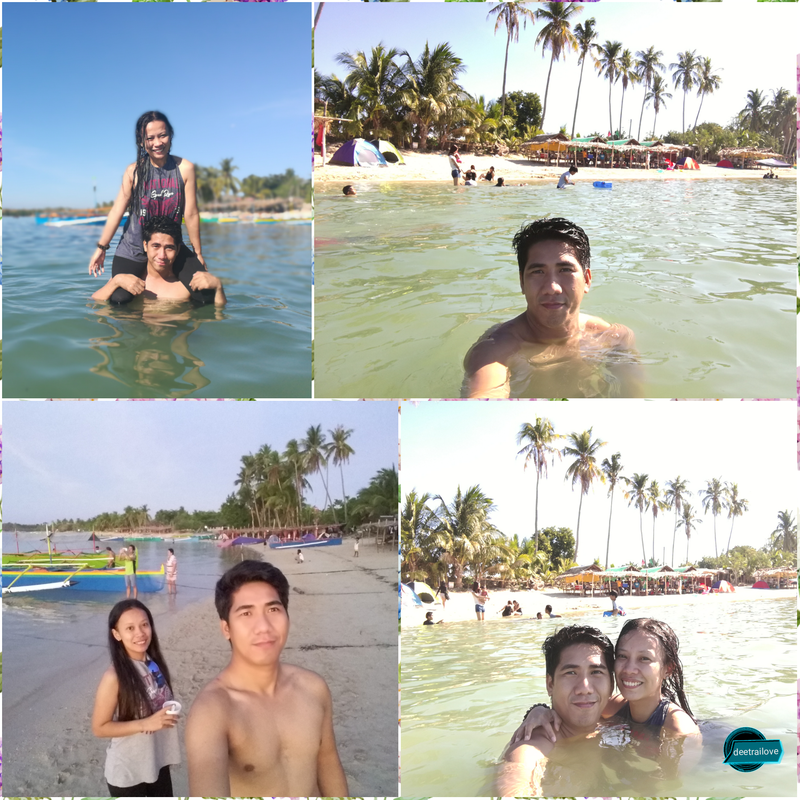 Dasol Beach in Pangasinan is located in western part of the province. Tambobong Beach is actually situated several kilometers away from the town proper of Dasol, at the northeastern end of Dasol Bay. 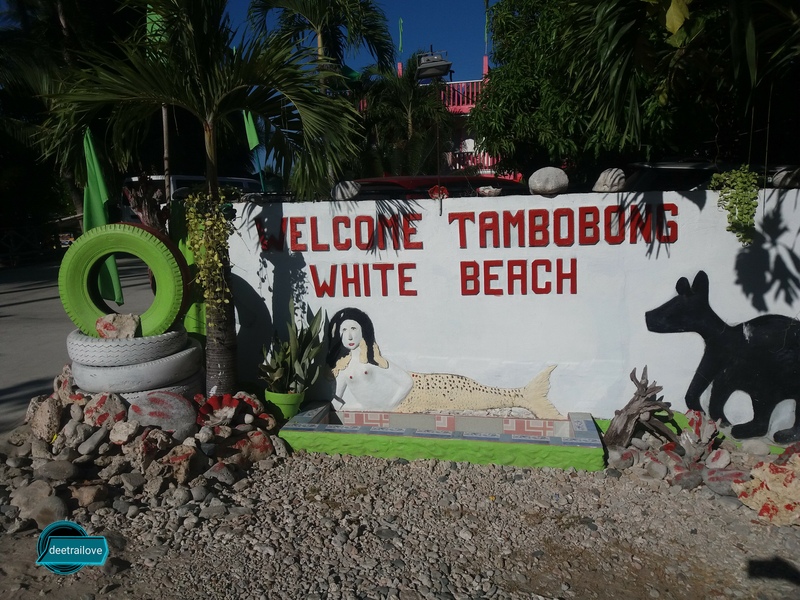 What’s interesting about Tambobong’s white sand beach is that it fronts a fishing village along its entire length. Dozens of colorful boats used for fishing. 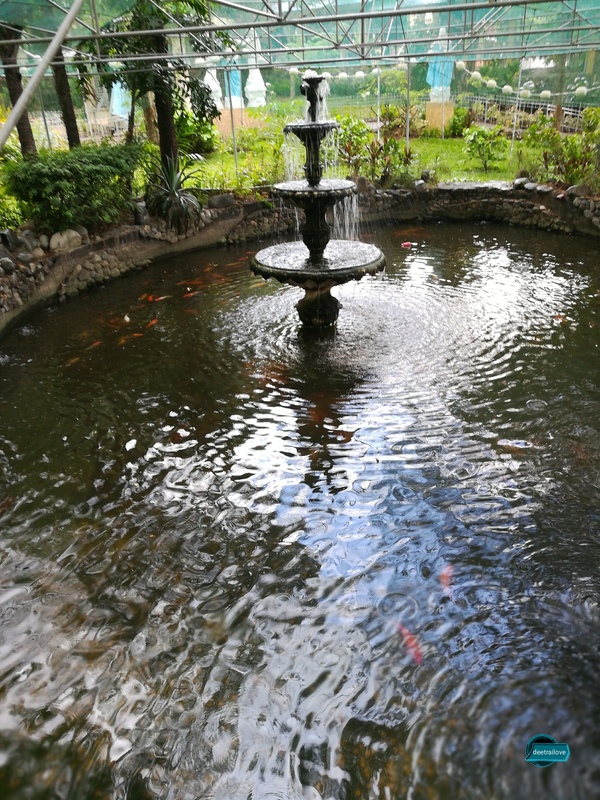 They also used it for island hopping offered to the tourists for their additional income. Somehow, the locals have kept the white sand beach and its waters relatively clean something you won’t see in most beaches elsewhere. It is clean enough that visitors swim in the waters offshore. What saddened me too, most visitors don’t mind their garbage. Trashes were everywhere. Very good thing, locals always kept their beach clean by collecting those trashes. We should always observe LNT (Leave no Trace) also in beaches. Sunrise in Dasol was really stunning. It colored the sky and it made everybody’s mood very soothing and relaxing. The sea was very calm. I really enjoyed it so much. 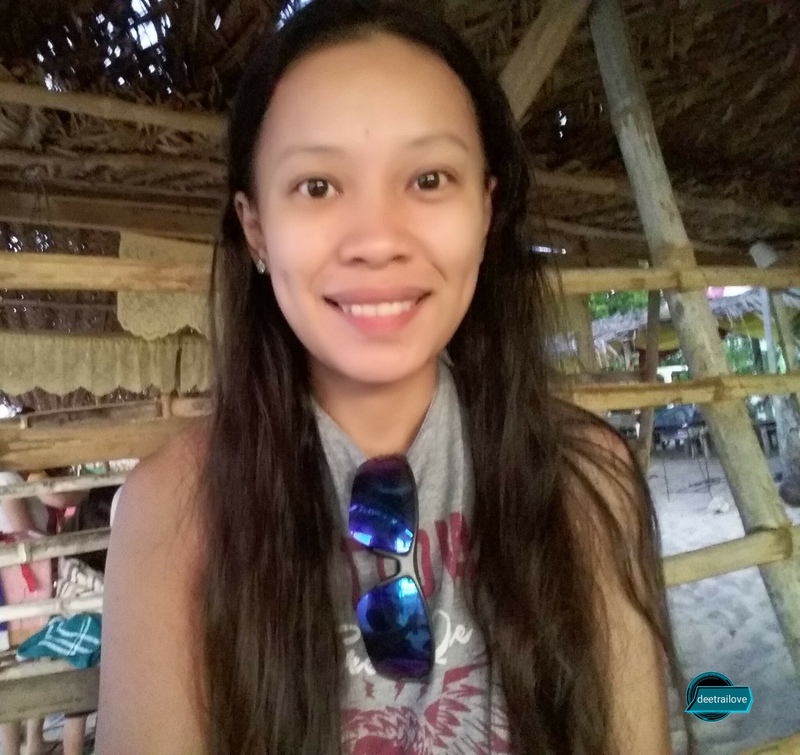 I am not very good in swimming but I was happy because I am not expecting that I would be visiting one of the best beaches. It has fine white sand and it has clear water. 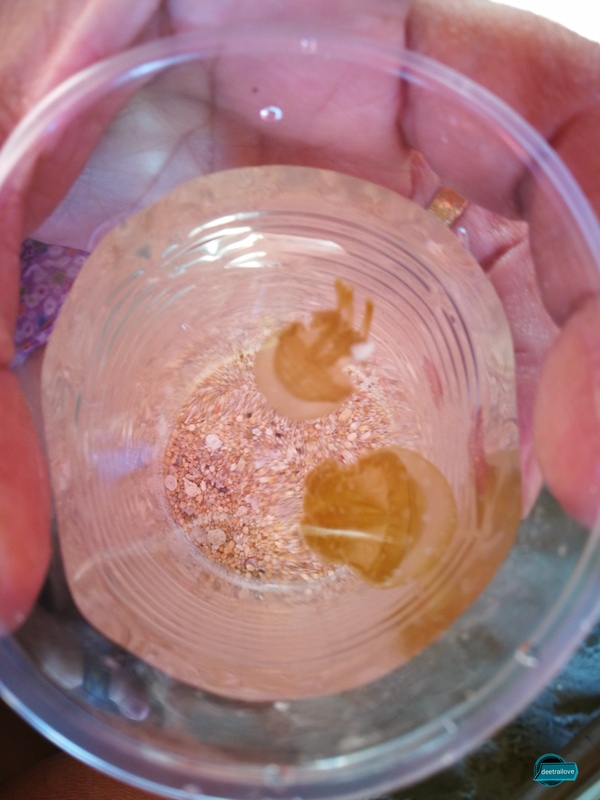 My father and 3 kiddos that joined us were curious observing marine life including starfish, jellyfish, sea cucumbers, tiny crabs and some crawling creatures we couldn’t identify. 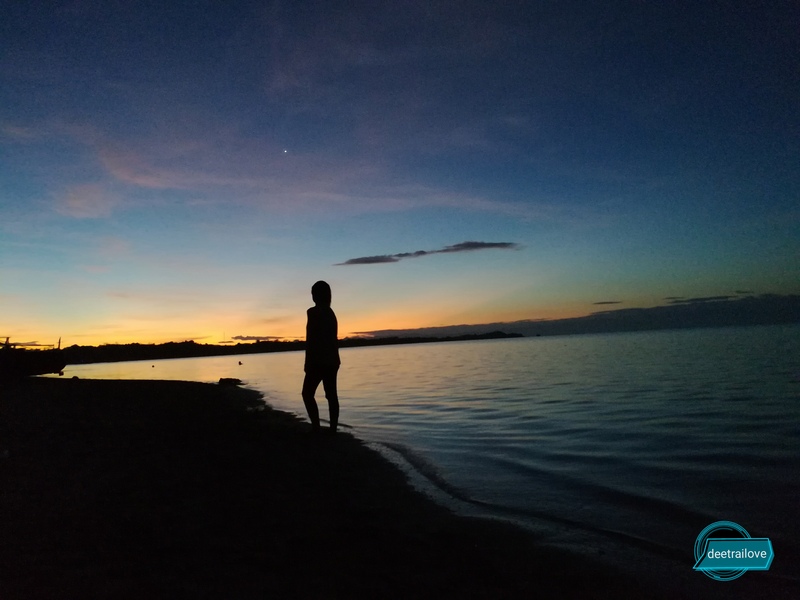 We didn’t witness sunset but I believed that Dasol Beach has an excellent location for sunset views. 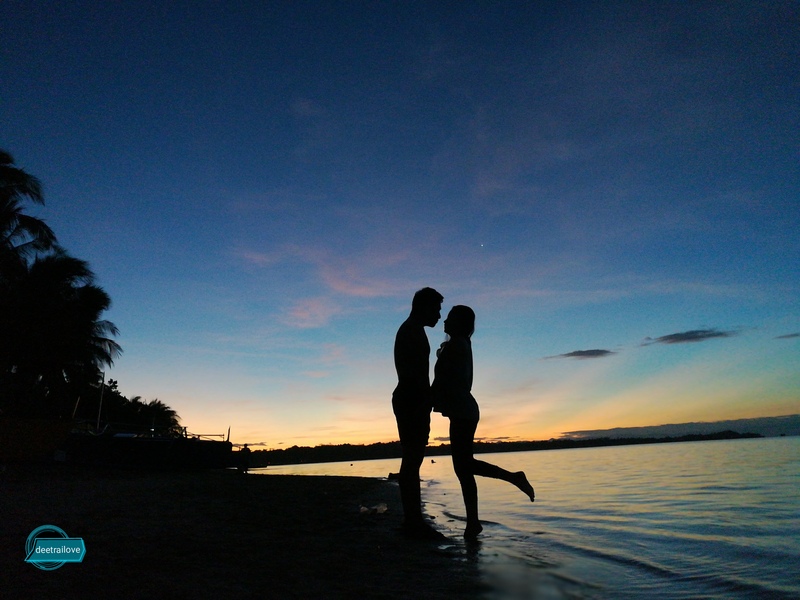 I am glad that Tambobong beach is getting the attention they deserved. There were some constructions being built in the community that could be use as a tourists’ accommodations. 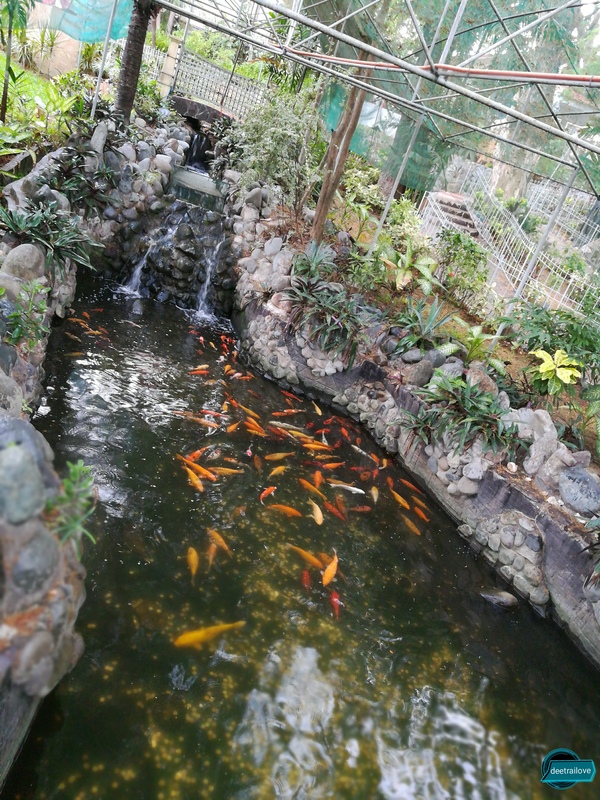 In the near future, it would be developed and more tourists would visit the place. 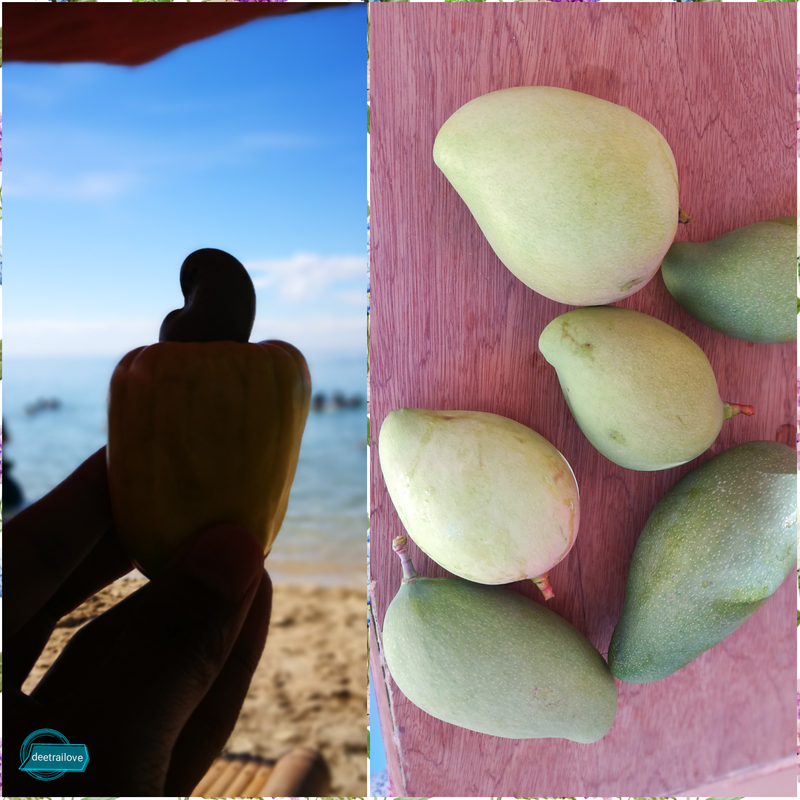 There were a lot of different kinds of trees surrounding the area like mango, cashew, etc. We even tried to get one. You could easily reached the fruit. As we headed back to Mayantoc, we noticed that much of the route to Tambobong from the national highway has been concreted, part of a major effort by the country’s Department of Tourism to develop the area’s tourism. Hopefully, on our next visit we’re able to do island hopping and we’re more ready. 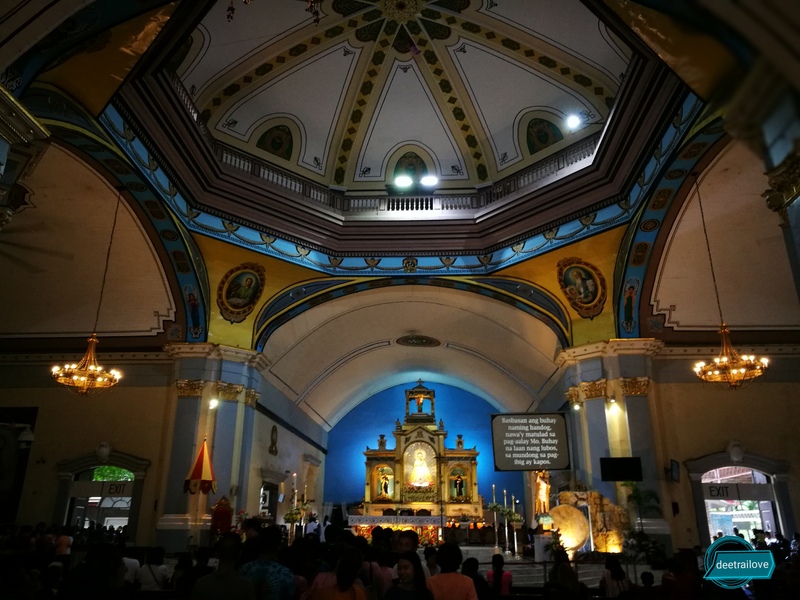 We visited first Our Lady of Manaoag Church before going back to Mayantoc. 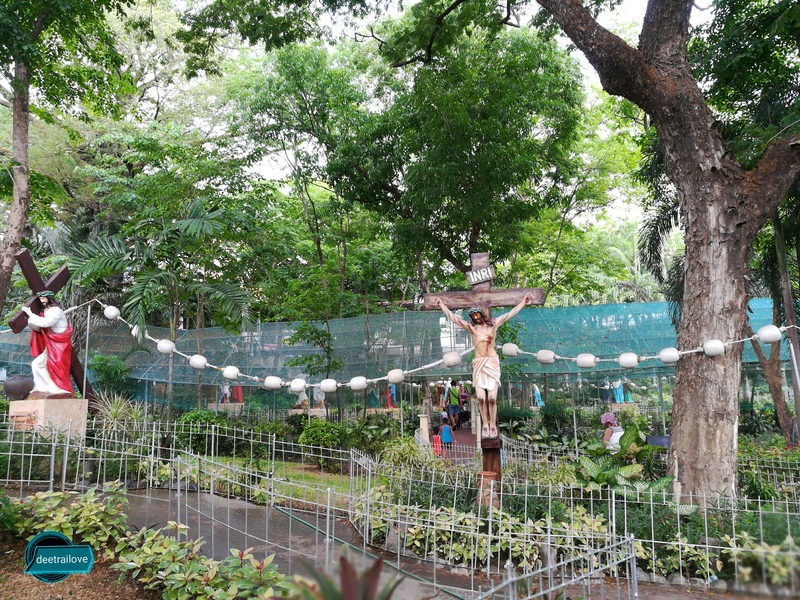 We got a chance to see the station of the Holy Cross, they called it the Rosary Garden. 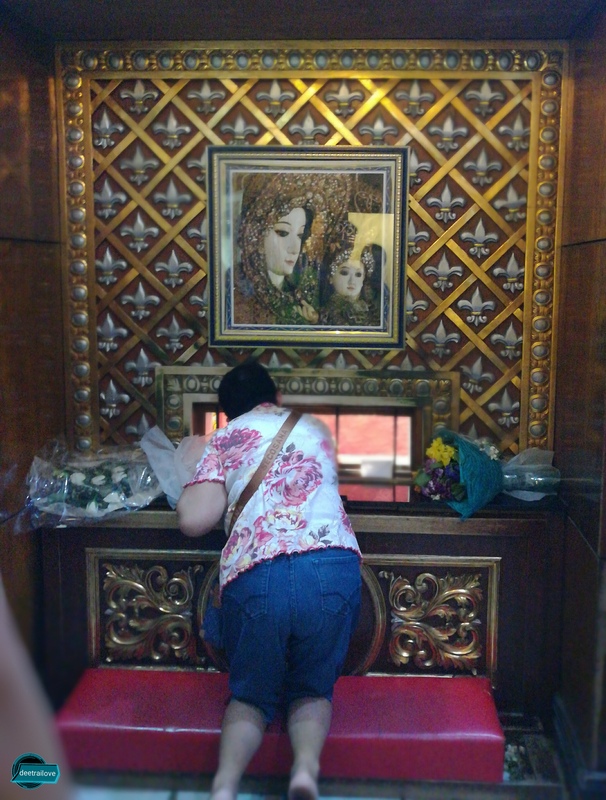 We even touched Mama Mary’s blessed dress. 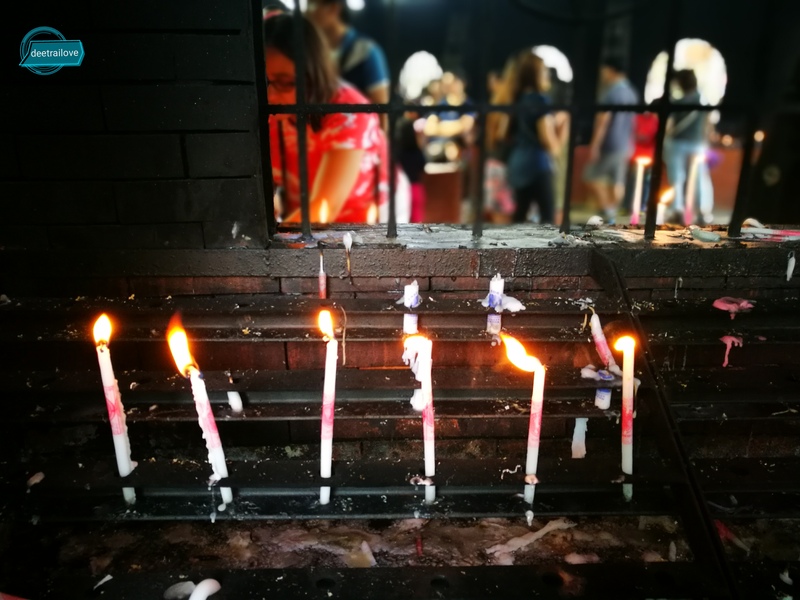 We prayed for a good health and to shower us with more blessings after we lit candles. I really couldn’t get over of the famous Tupig. Dina’s Special Tupig is one of the best. 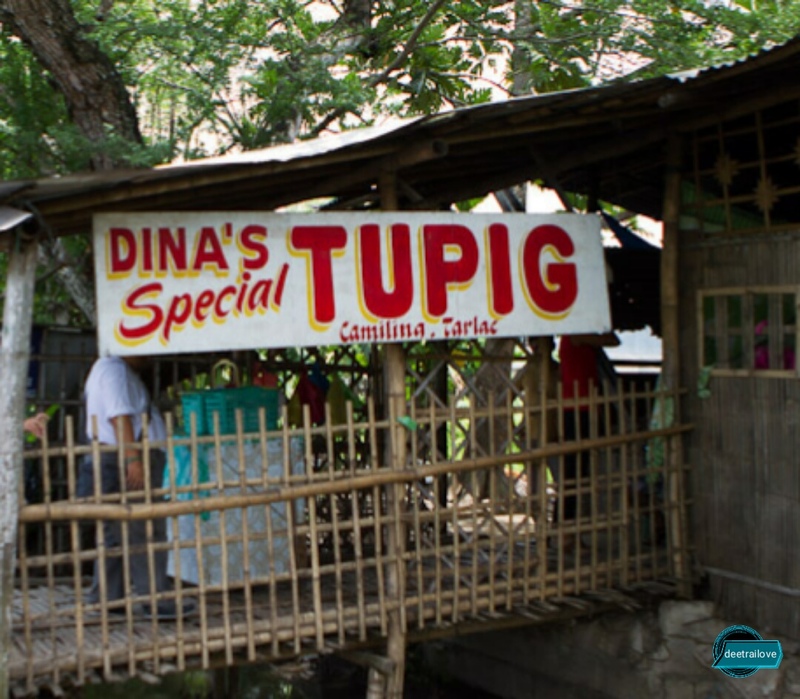 If you just came from a vacation in Pangasinan, you’re in luck as the best tasting tupig in Tarlac is along Romulo Highway in Camiling. They still use the clay oven or kugon, use multiple layers of banana leaves so the tupig doesn’t burn, and use a generous serving of ingredients such as coconut milk, glutinous rice flour, young coconut meat and sweetener (usually sugar or molasses). What gives Tupig its distinct flavor is the banana wrapper and the way it’s cooked: grilled over charcoal and best on clay.